Is Minnesota Birth Center licensed and accredited? Minnesota Birth Center is licensed by the Minnesota Department of Health and has been nationally accredited by the Commission for the Accreditation of Birth Centers since 2012. Is it safe to labor and give birth in a freestanding birth center? Studies have shown that for healthy, low-risk women, giving birth at a freestanding birth center is as safe as giving birth in the hospital. The American College of Obstetricians and Gynecologists agrees. A study released in November 2011 involving over 64,000 women in England found that “for planned births in freestanding midwifery units…there were no significant differences in adverse perinatal outcomes compared with planned birth in an obstetric unit”. Healthy women giving birth in a birth center avoid the routine use of advanced technology and interventions that may not be most appropriate for normal physiologic birth. Women giving birth at Minnesota Birth Center receive skilled, continuous care and labor support from Certified Nurse-Midwives and Registered Nurses. Research has shown that continuous labor support decreases the need for epidural anesthesia, medical interventions, and cesarean sections. View the most recent study on birth center safety and outcomes in the US published in the Journal of Midwifery and Women’s Health. Who provides care at Minnesota Birth Center? Minnesota Birth Center offers comprehensive prenatal care by Certified Nurse Midwives (CNMs). Our CNMs are Registered Nurses licensed by the Minnesota Board of Nursing and accredited by the American Midwifery Certification Board. CNMs have advanced training and graduate education in midwifery and are experts in normal pregnancy and birth. The CNM scope of practice includes all prenatal, labor and delivery cares as well as life-long gynecological care. During labor and delivery, midwives are aided by Birth Assistants who are Registered Nurses (RN). Registered Nurses are licensed through the Minnesota Board of Nursing. Is care at Minnesota Birth Center covered by insurance? Minnesota Birth Center is contracted with all major insurers in Minnesota. Please see our Paying for Care page for more information. What conditions could prevent me from giving birth with the Minnesota Birth Center? Minnesota Birth Center specializes in normal physiologic birth. Please review MBC’s list of Risk Factors for more information. While the list is not exhaustive, the mentioned conditions are incompatible with care at Minnesota Birth Center. Please note that MBC does not consider age or IVF/ART to be risk factors. Does Minnesota Birth Center support Vaginal Birth after Cesarean (VBAC)? Minnesota Birth Center is a VBAC-supportive provider. We are honored to support people laboring after one or two cesareans, and we understand that often there are extra stressors and complicated feelings around pregnancy and birth after cesarean. We welcome discussions of prior birth experiences in the context of a current pregnancy. MBC midwives attend VBACs at United Hospital’s Mother-Baby Center in St. Paul. Clients will have regular prenatal appointments with MBC midwives at either our St. Paul or Minneapolis birth center locations. We do not use VBAC calculators. We do not use arbitrary time constraints in labor. We are happy to allow labor to begin on its own, though we can offer suggestions at the end of pregnancy to help your body start labor. In the hospital, continuous fetal monitoring will be used. At this time, water birth is not an option for those desiring VBAC, but laboring in the large United tubs in highly encouraged. Remote telemetry can be used both in and out of the water to allow for greater mobility. If a repeat cesarean becomes necessary, MBC has a seamless transfer of care to our OB colleagues, the OB Hospitalist group at United Hospital. All of the midwives at MBC have a similar practice style, and all are highly supportive of Vaginal Birth After Cesarean. We HIGHLY recommend having a VBAC-supportive doula and participating in childbirth education. If you would like to choose MBC to be your VBAC provider, we do request that you have your previous surgical records released to us so that we may review them. If you choose to have your baby through another provider, we wish you a wonderful and joyful birthing experience. I would like to birth with the Minnesota Birth Center Midwives, but I prefer to birth in the hospital. Is this an option? 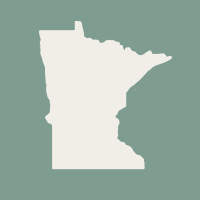 Are lab and ultrasound services available at Minnesota Birth Center? Routine prenatal labs are drawn at Minnesota Birth Center and are processed by Quest Laboratory. Minnesota Birth Center provides early pregnancy scans (if determined to be medically indicated) and 20-week scans in our clinic. Genetic testing, perinatal consultation, and high level ultrasound services are available to our families through Associates in Women’s Health. What is the Minnesota Birth Center's approach to ultrasound? MBC’s providers (Certified Nurse-Midwives, RNs, Sonographers, Medical Director) are committed to practicing evidenced-based, financially responsible care and will only assess, test, and treat when medically indicated. If indicated, an early ultrasound will be performed or referred to an outside facility depending upon provider availability. We require a twenty week anatomy scan, which are offered in-house and performed by our sonographers. Additional ultrasounds may be recommended based upon other factors. Continuous labor and delivery support is provided by a Certified Nurse-Midwife (CNM) aided by a Birth Assistant who is a Registered Nurse (RN). CNM Fellows may also assist at births. Doulas, friends, family members, and other support persons chosen by the laboring mother are welcome to attend births at Minnesota Birth Center. How does MBC approach the end of pregnancy? Minnesota Birth Center’s approach to the end of pregnancy is guided by recommendations from American obstetric and maternal health organizations and client preference. Many pregnancies progress past 40 weeks, especially first time pregnancies. If your pregnancy reaches 41 weeks you can expect to have a discussion with an MBC midwife about possible next steps, which will include the option of induction in the hospital. If you prefer to let your pregnancy continue and all other health indicators are normal, we will provide testing to confirm that your baby is doing just fine where they are. This testing will include an ultrasound to confirm that you have a normal amount of amniotic fluid around your baby, and a Non-Stress Test, which involves placing monitors on your belly to assess your baby’s heart rate over the course of 20-40 minutes. We will discuss natural methods for encouraging labor. If you are still gestating at 42 weeks, we will recommend induction at the hospital. Whether of not you choose to accept this recommendation, we will attend your birth in the hospital. This is because our birth center accrediting body dictates that we attend births only between 37 and 42 weeks in the birth center. Outside of those times we will join you in the hospital. These guidelines also apply to those planning Vaginal Birth After Cesarean, with the exception that we will attend your birth in the hospital regardless of your gestation. What happens if I need to transfer to the hospital during labor? There are times during labor and birth when a transfer to the hospital may become necessary or something you choose. Our Certified Nurse-Midwives have admitting privileges at Abbott Northwestern and United Hospitals. For non-emergent transfers, your midwife will continue care at the hospital. In case of emergency, care is transferred to the backup physician group. We recommend our families pre-register with Abbott Northwestern or United Hospitalist to expedite admission should a transfer occur. Both Minnesota Birth Center locations are minutes from a hospital, making transfers safe and seamless. Is medication available at Minnesota Birth Center? Emergency medication and equipment such as IVs and oxygen are available at Minnesota Birth Center. We do not offer epidurals or pharmaceutical pain relief. What comfort measures are available during labor and delivery? After birth your baby will be placed in your arms for immediate skin-to-skin contact. MBC offers a house-made herbal bath and homemade bread with honey to each postpartum mother. Your midwife team will assist you with breastfeeding while continually monitoring your and your baby’s health during the immediate postpartum period. Families stay at the birth center an average of four hours after birth. Our Early Home Care class thoroughly equips families to care for their babies and selves postpartum. What can I expect in my postpartum time? 24-48 hours after the birth of your baby at the birth center, a Minnesota Birth Center nurse will visit your home. The nurse will assess your health and emotional well-being and discuss any concerns you might have. The nurse will also assess your newborn and provide the recommended assessments (see “What pediatric services does MBC provide?” below). For babies born in the hospital, these assessment will be provided by the great nurses at Abbott or United. Most clients who birth their babies in the hospital will receive a home visit from Allina home care. Sometime in the 2-5 weeks after the birth of your baby we invite all parents and their new babies to attend Circle Care. This is an MBC-specific group in which 6-8 couples discuss the ups and downs of parenting. We want to hear the rewards and the challenges! In every Circle Care group you will have a chance to touch base with a midwife to make sure you feel good about how your postpartum healing. You may choose to have your baby weighed during this time as well. One of the most difficult things about being a new parent is the isolation that often accompanies it. Circle Care exists to help combat that isolation. All who birth with MBC regardless of place or method of birth are encouraged to attend. What pediatric services are provided by Minnesota Birth Center? Before leaving the birth center an MBC midwife will perform your newborn baby’s first newborn exam and administer any of the medications recommended at the time of birth that you would like your infant to receive. These medications include: Vitamin K, erythromycin ointment, and Hepatitis B vaccine. At your home visit which occurs at 24-48 hours after your baby’s birth, an MBC nurse will provide several recommended assessments. These include a Metabolic Screen, Hearing Screen, CCHD (Critical Cardiac Defect) screen, and jaundice screening. Additionally, the MBC nurse will assess your baby’s eating at this visit and help you troubleshoot any early difficulties. Minnesota Birth Center requires clients to have a permanent pediatric provider chosen prior to birth and recommend you take your newborn to see their provider within 3-5 days post-birth. How do I transfer my prenatal care to Minnesota Birth Center? Transfer Clients must attend an MBC Orientation, if possible prior to the first visit. Transfer Clients must review the “What Conditions Could Prevent Me From Giving Birth with the Minnesota Birth Center?” section of the Frequently Asked Questions page of the MBC website. Transfer Clients will be conditionally accepted for care until their complete medical records are reviewed at the Transfer Visit. * “Transfer” means that clients must have their complete prenatal records sent to the Minnesota Birth Center and have an appointment scheduled for no later than 32 weeks and 6 days gestation. ** Exceptions to the “32 and 6 week” date may be made on a case-by-case basis for families who are moving from another area who have been receiving consistent prenatal care and have contacted MBC prior to the 32-week deadline to inquire about care at MBC. Patients desiring a birth at United Hospital attended by MBC midwives must transfer*** their care to MBC by 34 weeks and 6 days gestation. VBAC clients are not required to attend Orientation, but are welcome if interested. Orientation is required for any Transfer client who transfers prior to 32 weeks. Orientation is not required for any Transfer client who transfers after 32 weeks, but is highly encouraged. *** “Transfer” means that clients must have their complete prenatal records sent to the Minnesota Birth Center and have an appointment scheduled for no later than 34 weeks and 6 days gestation. All transfer clients, regardless of birthing location, must have complete records from the current pregnancy transferred to our offices prior to their first visit. Medical records can be transferred using the Release of Information form below and faxed to (612) 224-9622. I have paperwork to fill out for Short Term Disability/FMLA. How can I get that completed? Many companies require specific paperwork to be submitted to initiate Short Term Disability and/or FMLA leave related to the birth of a child. If you will be utilizing benefits through your employer, we highly recommend speaking with your benefits administrator prior to your birth to confirm the necessary paperwork and timeline for submission. MBC is happy to assist you in completion of the medical portion of the necessary paperwork. Please review the following guidelines to ensure your paperwork can be completed on time. Our turnaround time for completion of paperwork is 5 business days. We accept disability/FMLA paperwork via hard copy, email (info@theminnesotabirthcenter.com), and fax (612-224-9622). For ease of processing, submission by email is preferred. Forms submitted prenatally will be accepted no earlier than the 36 week appointment, unless earlier completion is required by your policy. Forms submitted will be available for pick up at your next weekly visit, or we can submit via fax per your need/preference. Can I return to Minnesota Birth Center for my Well Woman care?